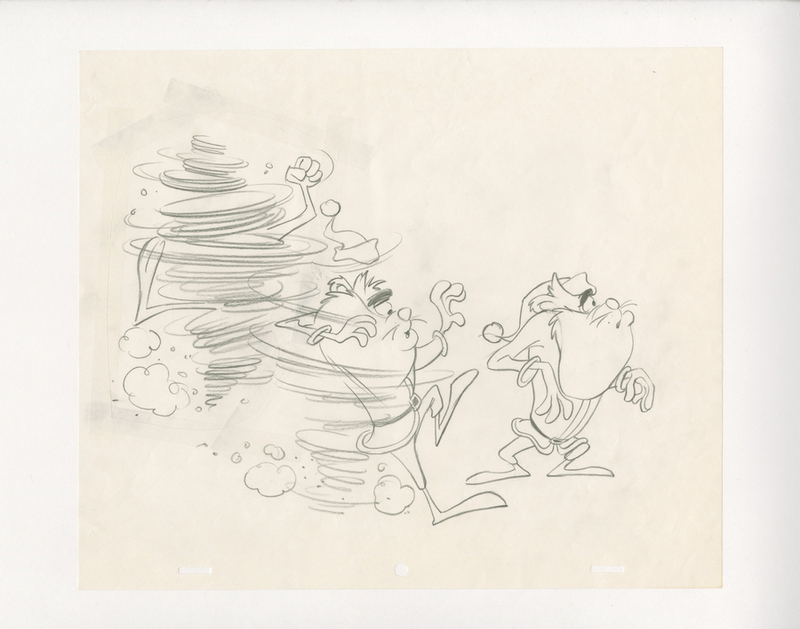 This is an original developmental drawing used in the creation of the Warner Bros. Studios production The Fright Before Christmas (1972). 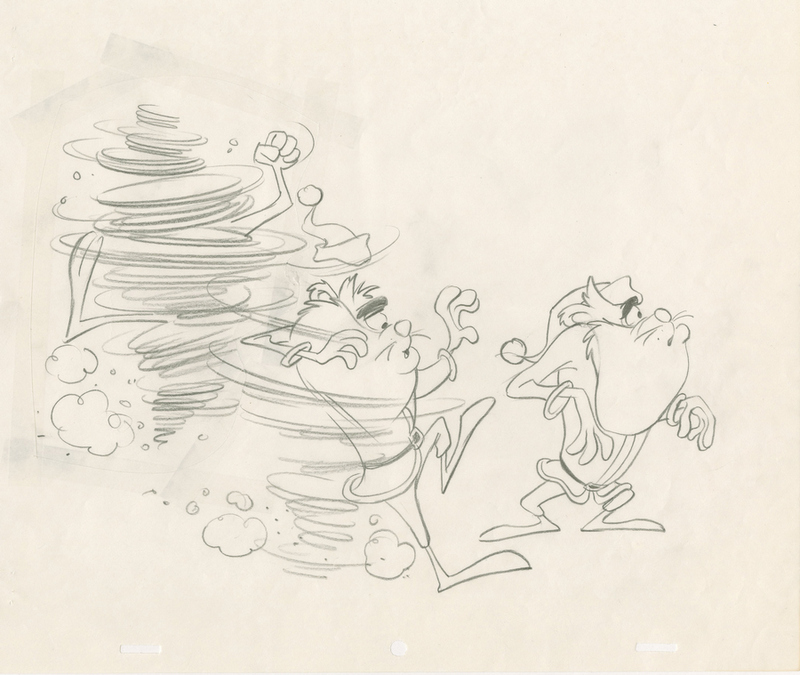 The drawing features an animation study of the Tasmanian Devil dressed as Santa Claus. It was created at the studio and used during the production of the film. The overall measurements of the piece are 10.5" x 12.5", with the image itself measuring 8" x 10.5". This piece is in very good condition with a light horizontal crease across page.